Listening to the tracks of the cd was a trip down Memory Lane for me. My teenage years we very special... The Beatles, Marty Wilde, Billy Fury, Helen Shapiro to name but a few. Whilst I think some of the music today is quite good it does not compare to the 1960's, the swinging era. There were so many good balleds about and Billy sang many of them. 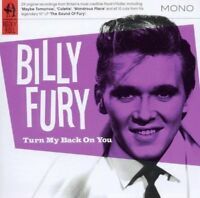 This is an excellent CD for all Billy Fury fans. 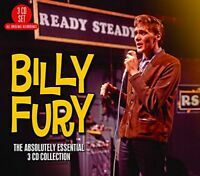 It has some lesser well known tracks by Billy all of which shows Billy's brilliant talent.This was issued with two sleeves and any avid collector would buy both copies as Billy was perhaps the greatest rock n' roll artist that Britain has ever had. 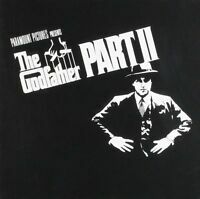 Excellent compilation of songs, mostly well known, with 2 or 3 covers. 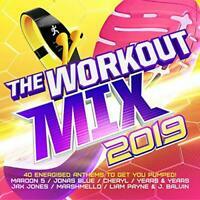 So many compilations, so check what's on it before you buy, if the songs are the ones you want, it's great.